My name is Andrei and I live in Lubny, central part of Ukraine. On this page I would like to say some words about my hobby, which is amateur radio. My interest to the radio has began in the school years, I believe it was inherited from my father. My first callsign I got in 2000, that allowed to me to work in the air. In the air you can meet the thousands or even millions of amateur radio operators around the world. Each of them has its own interest in the our hobby. Someone likes to design new radio or antennas and check own constructions in the air, someone interested in "hunting" for DX (very rare radio stations from the most exotic corners of our planet) or taking part in the various international championships and contests. Amateur radio has found its application in various experiments of space exploration as well. 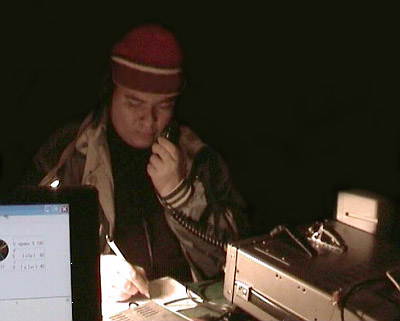 Also it should be noted that radio amateurs often helps to rescue services in emergency situations, using their equipment to provide emergency communication. Despite to the fact that the radio was invented more than a century ago, due to scientific and technical progress and the development of digital technology it becomes more and more perfect every day. Radio amateurs play an important role in this process too. So radio communication is very versatile and it is used in many spheres of human activity. For many people it is just a hobby, for others is profession, but the undisputed fact that the radio is still in demand and most likely will be in demand for years to come. A few words about my radio. I have an old but still decent Yaesu FT990 transceiver and several MMANA-designed antennas. 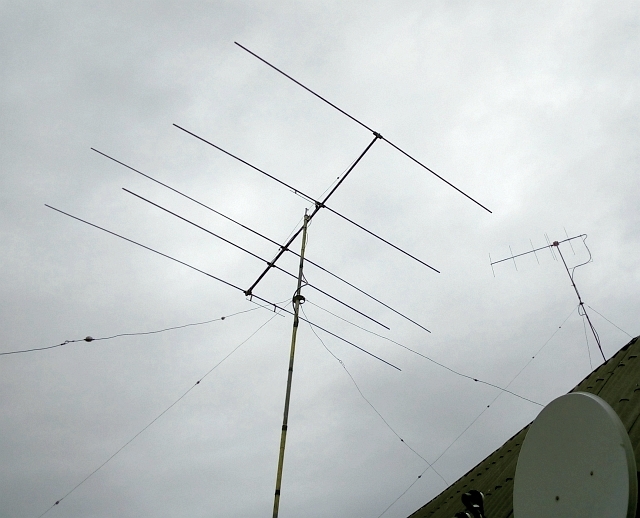 For 15 and 10-meter band I use the combined 5-element Yagi which is mounted at 10 meters above ground level. For 20-meter band I use horizontally polarized Delta-Loop, for 40-meter band I use vertically polarized slopped dipole. Both antennas are mounted at the same mast, about 15 meters above ground level.